Why We Love It - First class all the way with Maui's premier dining experience on-the-water! Be pampered and take in a magical Maui sunset with that special someone. 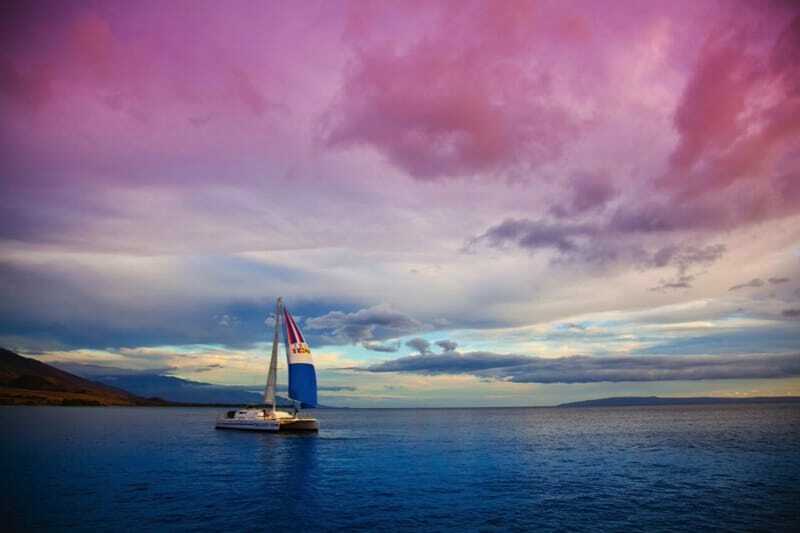 The finest dinner sunset sail on Maui! The Royal Feast provides a unique dining experience where you relax in comfort and dine like Ali’i (Royalty). We provide the most exclusive venue and an abundant feast. We sail on our custom built, one of a kind, luxury sailing catamaran. Measuring an impressive 65' from stem to stern and 36' port to starboard, it is truly the premier sailing catamaran on Maui. We have a reputation for providing the ultimate in service and amenities. We also limit the number of passengers to provide plenty of room to relax and enjoy. Our covered cabin is equipped with ample seating and 8 tables. For your comfort, there are two oversized restrooms on board. We are under sail whenever possible (depending on winds). Leave the driving to us! Experience the comfort and ease of our transportation service available from most South and Westside resort areas. Our comfortable vans will pick up and return you to your hotel or condo in style. Complimentary based on space available. Any cancellations made after 9pm local time, 2 business days prior to the activity will be subject to a charge of 100% of the total amount. Children 17 years old and under are not permitted on this activity. We did the Royal Feast sunset dinner cruise and absolutely loved it. From the time they picked us up at our condo to the drop off right at our door, the staff/crew were phenomenal - accommodating, helpful, knowledgeable. And the food was amazing! It was like dining at a fine restaurant, but we got to enjoy sailing on a comfortable boat in calm blue waters - and were treated to a lovely sunset as well. I highly recommend spending the money for this incredible experience. 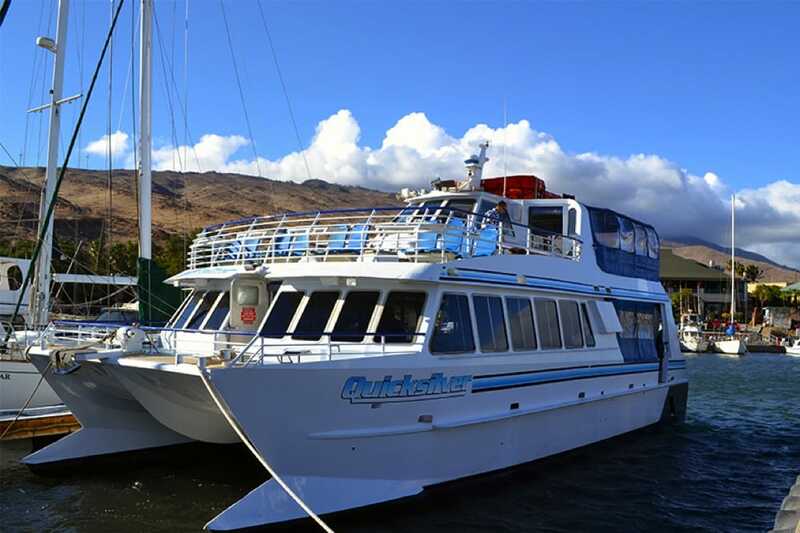 We’ve been on several sunset dinner cruises over the years in Hawaai - this time we took the Royal Feast Dinner Sail in Maui with Royal Feast Dinner Sail Sailing Charters on the recommendation of our Expedia desk in the hotel. Although the catamaran can hold many more, they limit the numbers to keep it comfortable and to enable maintaining quality service. All food & drinks are included as well as hotel transfers. The food was excellent, spirits superior quality, and the cocktails properly made. Best Mai Tai I’ve had in Hawaii for some time. Definitely will book with them again. My wife and I went on our first-ever sunset dinner cruise and it was amazing. From the moment Melissa picked us up from the hotel we felt special. Once we boarded the sailing catamaran, we were wined and dined like you wouldn't believe. The food was incredible, the crew saw to our every need, and the scenery was breathtaking. We also saw the stars in a way we never could in metro VA. Thanks to Capt. Tim and his entire crew for an experience that will be treasured for years.